Lure in your victims in this sleek and dramatic long layered two-tone wig! 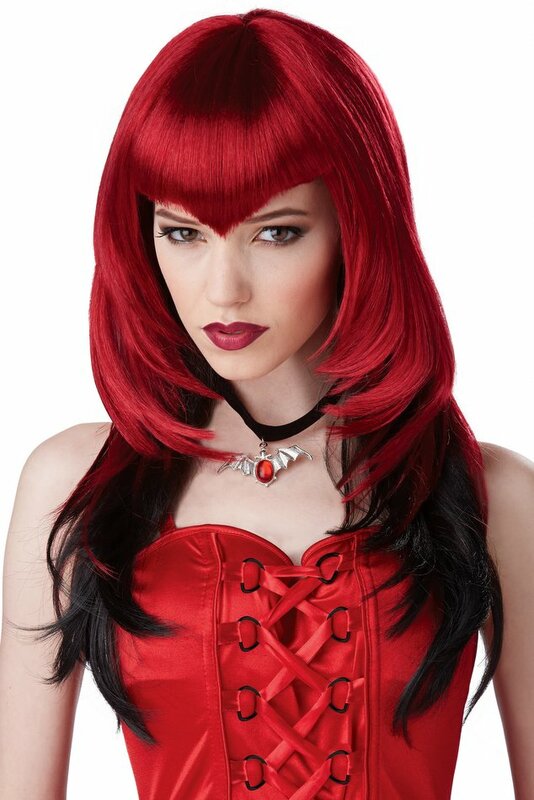 Adult women's size wig with bangs coming to a point in front in a stunning dark red color, with an under layer of black. Great for a vampire costume, devil, or demon costume! 100% synthetic. By California Costumes. Pair it with a nylon wig cap. See more options in our Vampire Costumes collection!